The more you handle your guinea pigs the better it is for helping to form a bond between you and your guinea pigs. If guinea pigs are scared and hyper active then it mean the owner hasn't spent enough time handling and petting them. 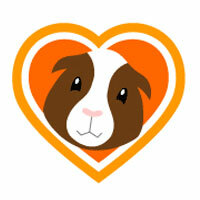 Grooming your guinea pigs is fun for both you and your guinea pigs. 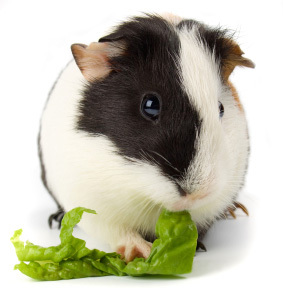 Your guinea pigs will enjoy the simulating massaging movements and you can spend some quality time with your pets. A healthy guinea pig should always groom its self but all guinea pigs need help, and it can be a very relaxing experience for you and your guinea pigs. When you are cuddling and picking up your guinea pigs you should always be careful not to put pressure on their lungs and stomach because this could cause problems with their breathing and could make them feel very uncomfortable. When you pick up a guinea pig be gentle and don't squeeze to tightly. Regular grooming is also important to keep your guinea pigs looking and feeling their best. Longer haired guinea pigs will need extra grooming to stop their hair from becoming tangled and matted, this is very important and if your guinea pigs don't get this treatment then they could feel uncomfortable. Short haired guinea pigs only really need a once weekly brushing but any time you can just run the brush through their hair just to keep it looking good would be very good for your guinea pigs.